Select the number of teams and type of schedule above. 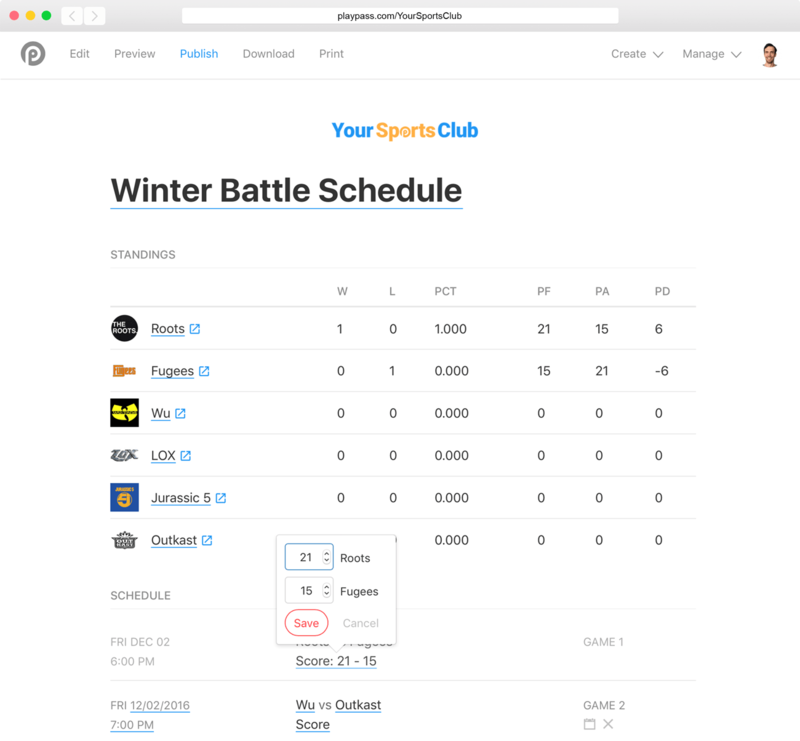 Next, you can customize your kickball schedule's fields, groups / divisions, dates and times. 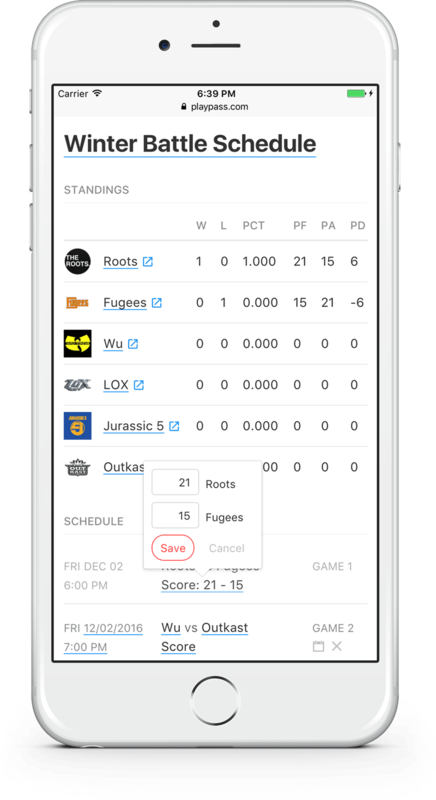 Put our free kickball schedule maker to work for you and create your next schedule in seconds. League round robin schedules can have games across many weeks or all in one day. Easily attach playoffs to any league. Tournament single or double elimination schedules can handle up to 1,000 teams playing across as many days as you need. Create custom pages for your website, ex: terms, sportsmanship, etc. Create a new schedule, registration activity, referral program, waiver, or kickball website.